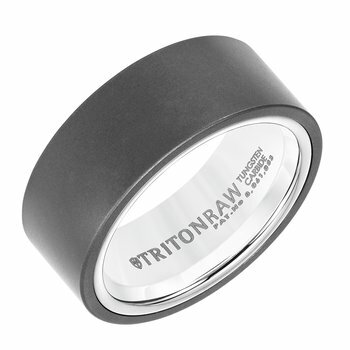 The name tungsten derives from the Swedish words 'tung sten' meaning 'heavy stone'. 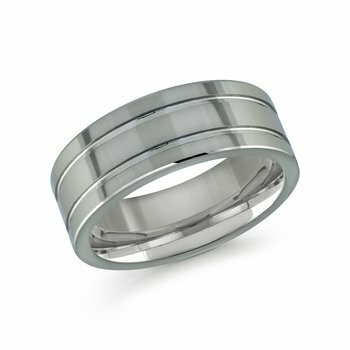 Pure tungsten has the highest melting point of all metals (6192 °F), as well as the highest tensile strength of pure metals. 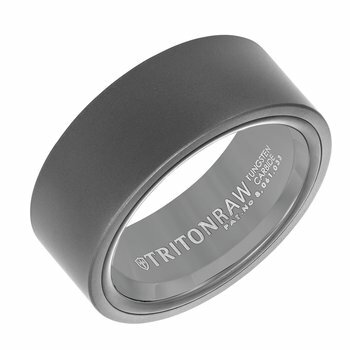 In it's pure form it is vulnerable to scratching just like other metals, but when combined with carbon as the chemical compound tungsten carbide, it gains extraordinary hardness. 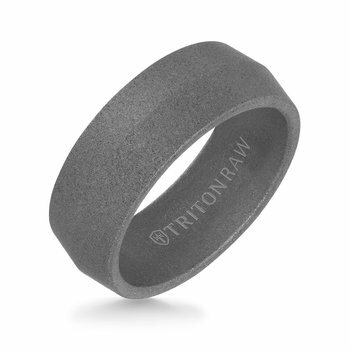 It is this hardness that makes tungsten carbide ideal for use as a jewelry material. 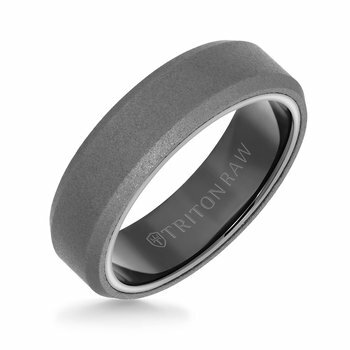 Tungsten carbide is a heavy, dense, ceramic metal that has a dark gray hue, that when polished, results in a mirror-like luster. 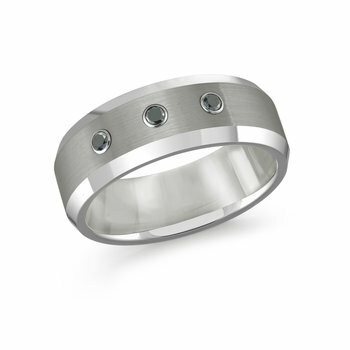 Tungsten carbide is formed quite differently to other metals used in jewelry. 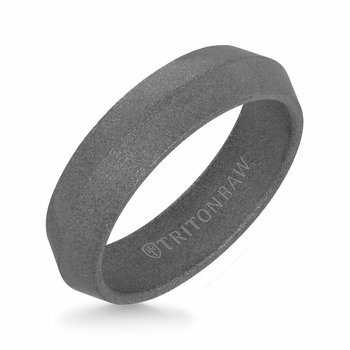 Tungsten carbide is manufactured by sintering a mixture of powdered tungsten and carbon alloy, and a binding agent to produce a "metal matrix composite (MMC)". 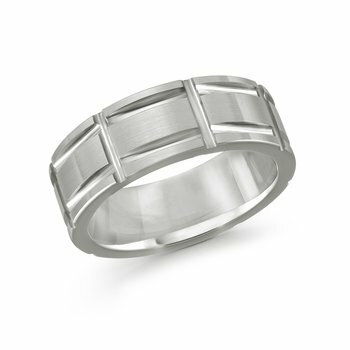 Jewelry grade tungsten carbide uses nickel as a binding agent. 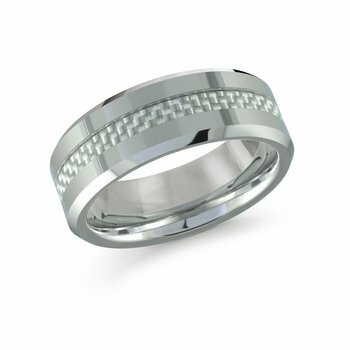 This sintering process produces a billet or ring blank, that has a hardness comparable to sapphire (Moh's hardness 8.5 - 9.5) and must be machined, ground and polished using diamond wheels and compounds. 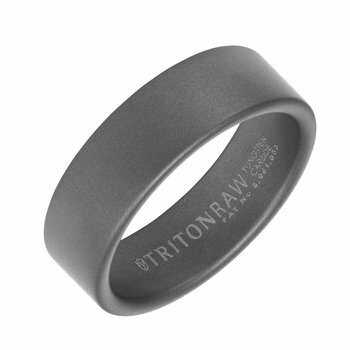 Unlike, pure tungsten metal tungsten carbide is extremely scratch resistant. As there are very few common materials that are harder that tungsten carbide. 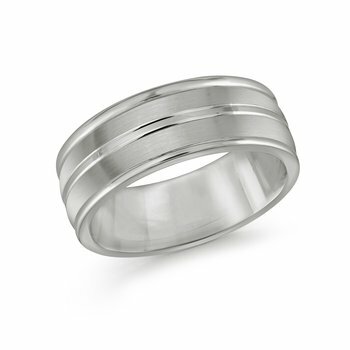 It is therefore quite unlikely to scratch or scuff. 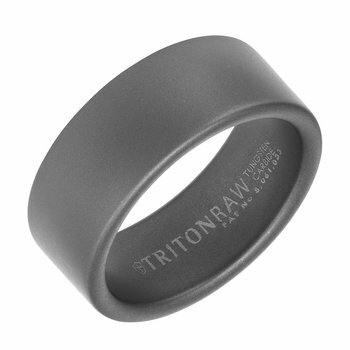 All tungsten carbide rings come with a replacement warranty for ring that break as well as for resizing. 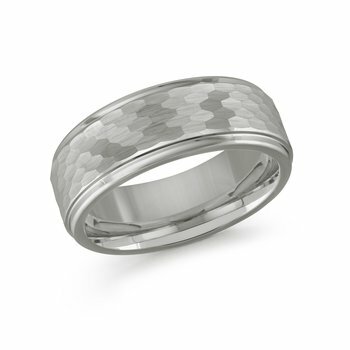 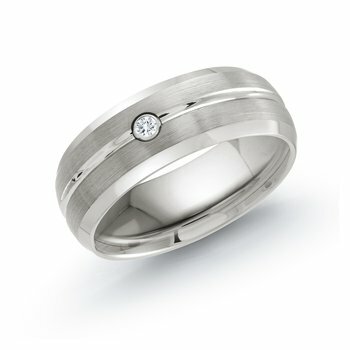 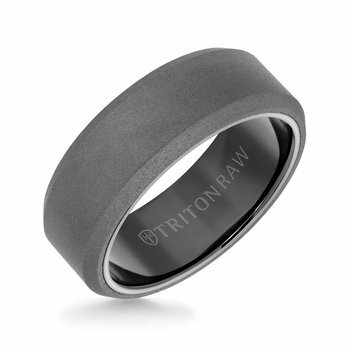 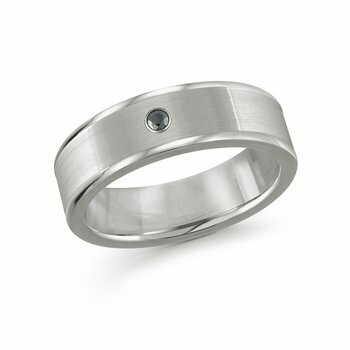 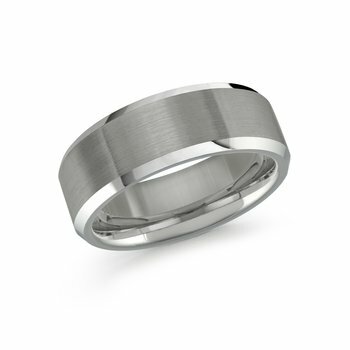 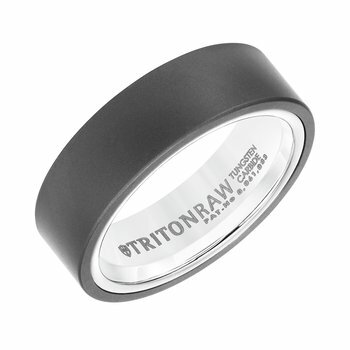 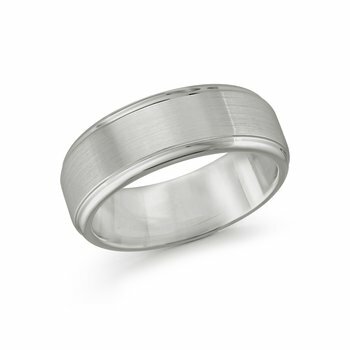 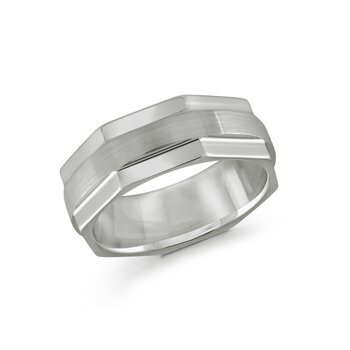 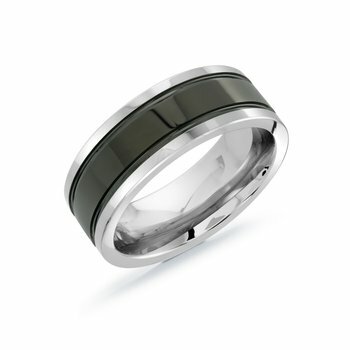 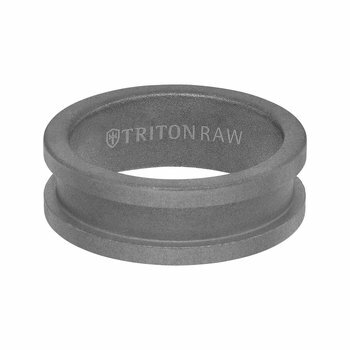 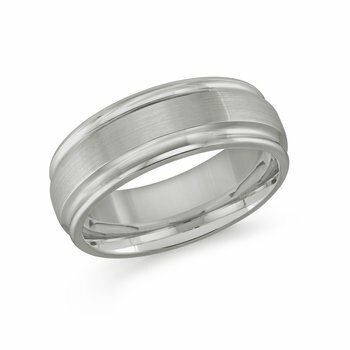 Tungsten carbide can be finished to a high mirror-like polish, stone texture, or a subtle satin finish.